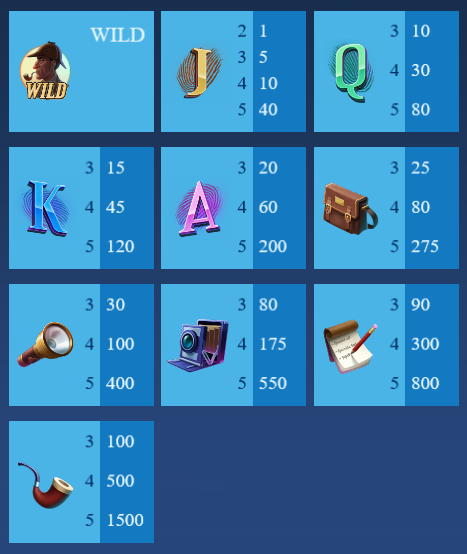 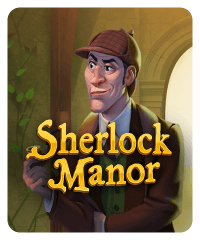 Sherlock Manor combines the 9-line slot machines you love with hidden object games. 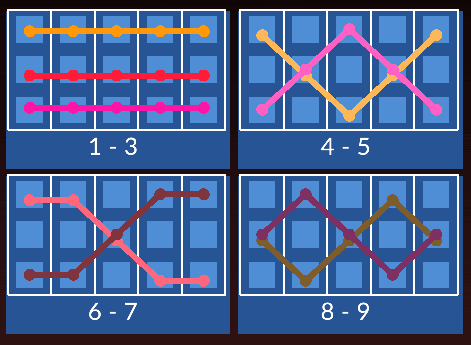 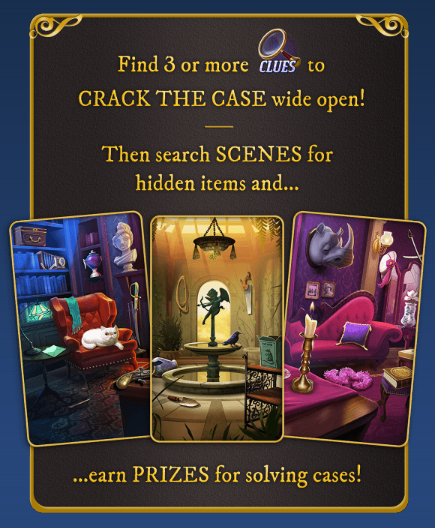 As you spin, get three Clue (magnifying glass) symbols to launch the hidden object bonus game. 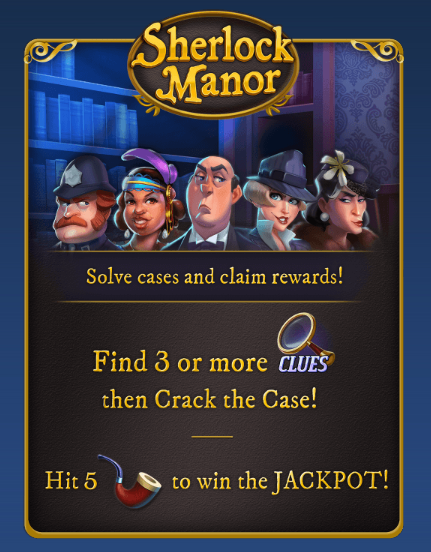 To crack the case, find the three hidden objects at the bottom of the screen and you’ll earn chips for solving the case.